The 1040 Latin Dance Shoe is a permanent favourite in our Supadance Latin and Social Collection here at Duo Dance London. 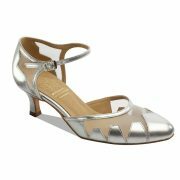 An elegant, closed-toe dance shoe in a regular fit and 2″ or 2.5″ flare heel. This stunning shoe is perfect for both the Professional and Social dancer and is popular as an evening shoe here at Duo Dance. 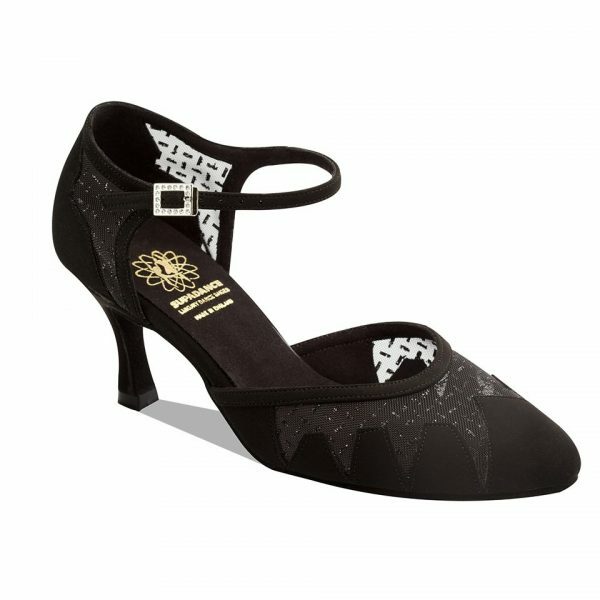 PLEASE NOTE THAT THIS IS A “MADE TO ORDER” SHOE AND WILL TAKE 6-8 WEEKS TO MANUFACTURE. 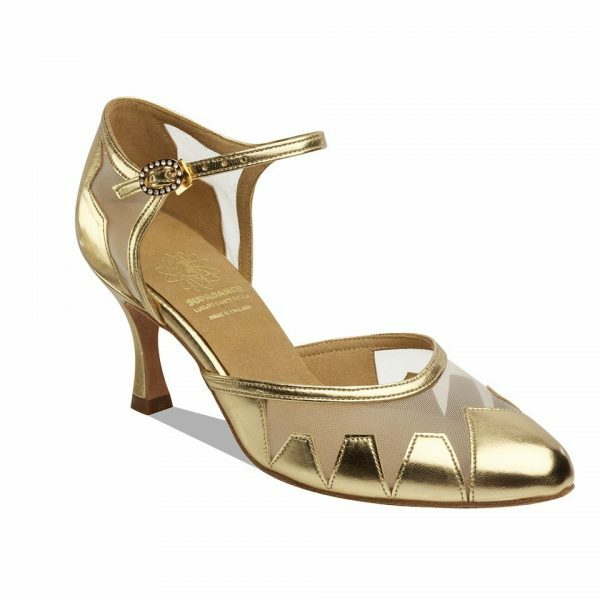 The 1040 Latin Dance Shoe is a closed toe sandal with a soft vamp in a variety of finishes, an ankle strap and a quick fit diamante buckle. The 1040 is available in Black Hologram, Black Nubuck and Tetris (the most popular finish at Duo Dance), Silver Leather and Mesh and Gold Leather and Mesh. 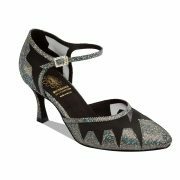 It is available in UK Supadance Sizes 2 – 8 including half sizes, in a regular fit and with a choice of a 2″ or 2.5″ Flare Heel. This is an exceptional shoe and well worth the wait as a “Made to Order” option. 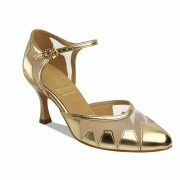 2″ or 2.5″ Flare Heel.